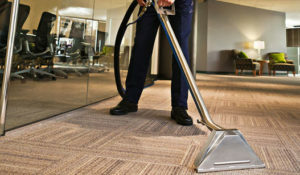 Spruce up your Business with Commercial Carpet Cleaning! You might not notice, because it happens over time. Until one day, you look down at your building’s carpet wondering, how did this get so dirty? Your business is often where you’re presenting products or trying to sell to a customer, so good impressions matter. It’s time to call a commercial carpet cleaning professional.